down through the ages by purchasing 'The Monikie Story'. 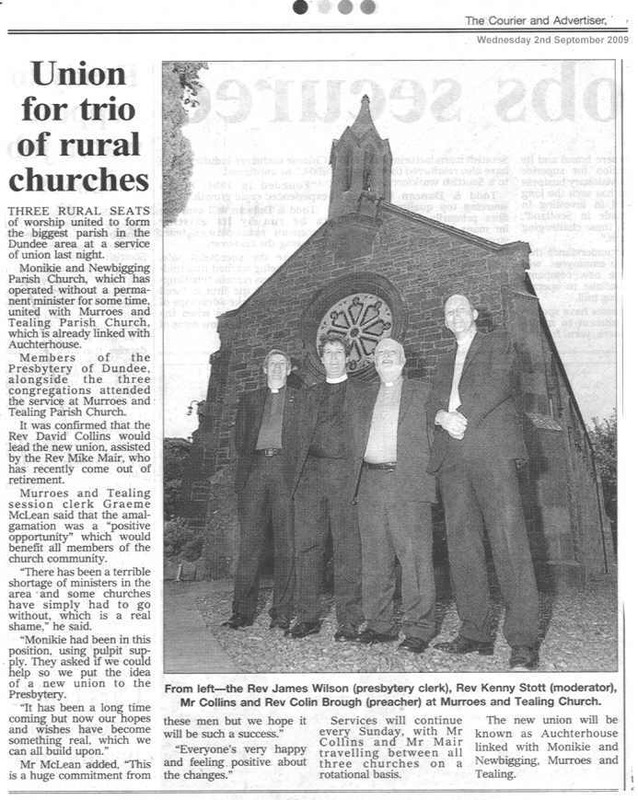 Read HERE about the combination of local parishes, courtesy of The Dundee Courier and Advertiser. The church seems to have been built or renewed in 1678. - OSA 1794. 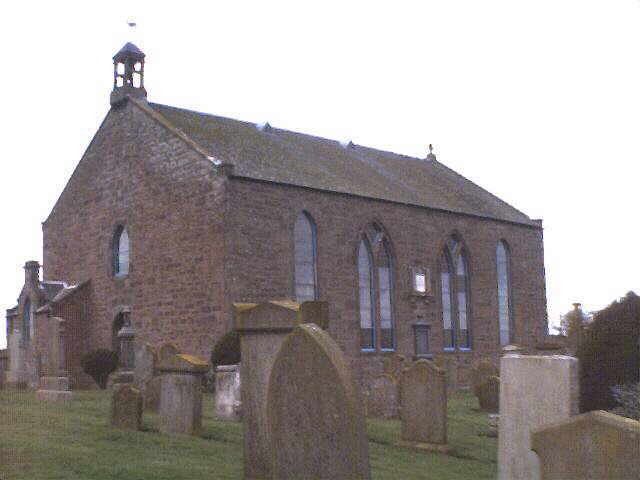 (NO 5177 3378) The parish church of Monikie was erected in 1812 partly on the site of its predecessor. The bell bears the date 1718, when the previous church was probably erected. The church was originally gifted to Arbroath Abbey by William the Lion in the 12th century; the dedication is not known. A list of the Grave Memorial Inscriptions, with a list of the names appearing on the stones, in the original part of the kirkyard, is available HERE. 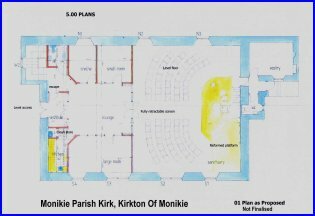 Any persons who have reliable knowledge of the kirkyard, including relatives, are invited to make contact if they can add to or correct the information. Many of the stones are partially sunk in the ground, others are well weathered. The First extension to the Kirkyard. Photographs and full detailed list available. In order to get the best results of finding information from various resources on this website you are strongly advised to use the website search engine to investigate further pages of interest, particularly surnames and addresses. 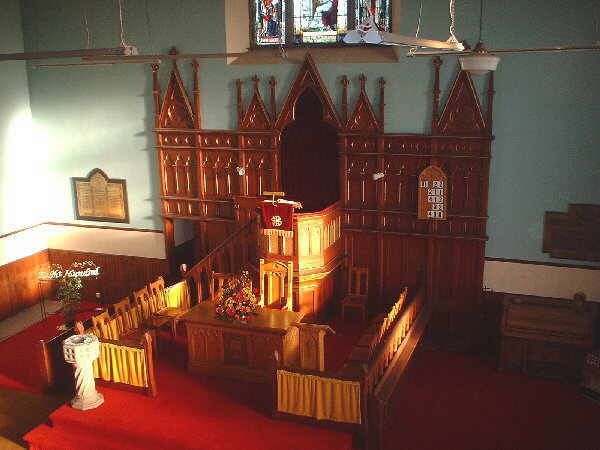 The interior of Monikie Kirk, photographed around noon on 15th January 2002. Rev. JOHN REID Minister of Monikie for 40 years died 8 September 1900 aged 77 years. His gravestone inscription. Click the image for a much larger version. 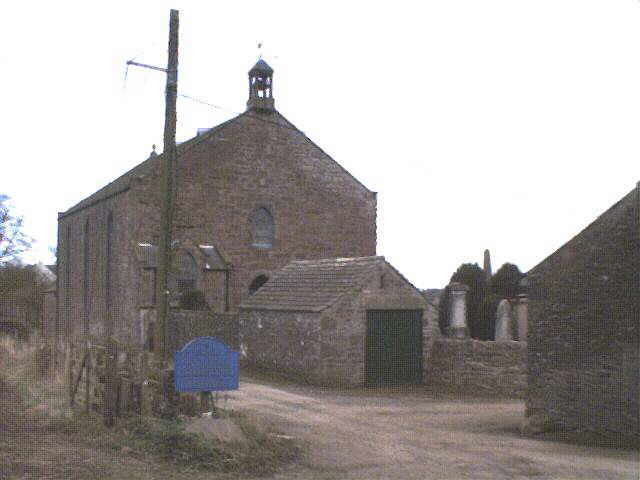 View the Monikie & Newbigging Church Webpages. 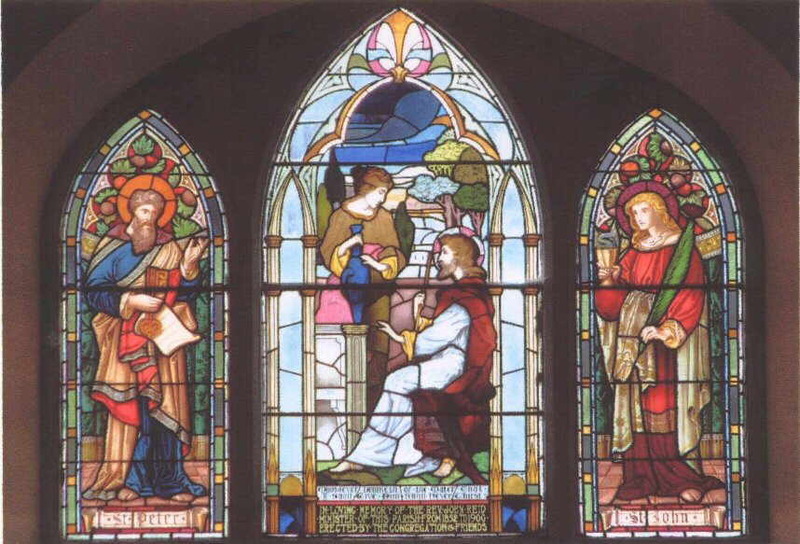 Information and photographs of the Free Church at Craigton of Monikie. 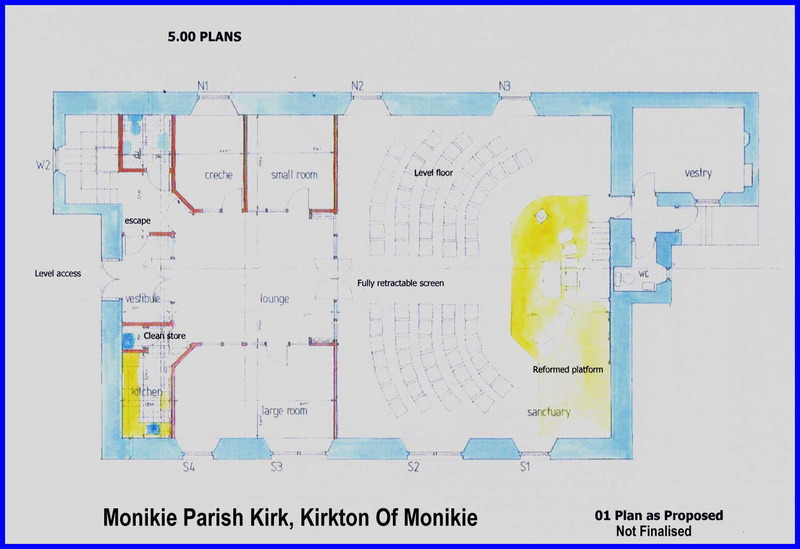 November 2007 - A larger copy of the provisional plans for alterations to the Kirk is available HERE. Please press the BACK BUTTON on your browser for your previous page.